​Have wide feet and looking for the perfect boots? What should be a fun trek turns into a painful ordeal. Now get ready, because you're about to discover the best hiking boots for wide feet. **Below, you'll find our detailed boot reviews, but you can also click the links above to quickly check the prices. 2.1 Why Boots Instead of Shoes? ‘Boots theory’ says that it’s worthwhile to spend a little more for something upfront, because you’ll save money in the long run by not having to replace it as often. On top of that, you’ll have the use of a superior product. So, you’re getting something better, it’s lasting longer, and ultimately it’s costing you less. Unfortunately, it’s not always easy to find a perfect fitting pair of boots when you’ve got wide feet. It can feel like your options are limited, but there are plenty of good ones to choose from. Before we take a look at a few different pairs, let’s go over some of the basics on how to identify the best hiking boots for men and women with wide feet. Everyone has their own style, but style is the last thing to worry about. Since your options are a bit more limited when it comes to wide width hiking boots, the perfect pair may end up not being the coolest looking. On that same note, the coolest looking pair might not be a good choice. Things like waterproofing, the quality of the materials, the weight of the boot, and ensuring that it's suited for your preferred types of hikes are the most important aspects. Why Boots Instead of Shoes? In the same vein, if you’re going to be walking for long distances carrying heavy loads on your back, you’ll want boots that are crafted to support you while keeping your feet, legs, and lower back as comfortable as possible. In this case, it’s hiking boots that answers the call. From heavy-duty mountaineering boots, to an extremely light pair of trail shoes, it’s important to choose whichever is most suitable for your activities. Backpacking boots are suitable for going off-trail or staying on it, they’re meant for multi-day expeditions where you’ll be carrying a lot of weight and need all the extra support that you can get. 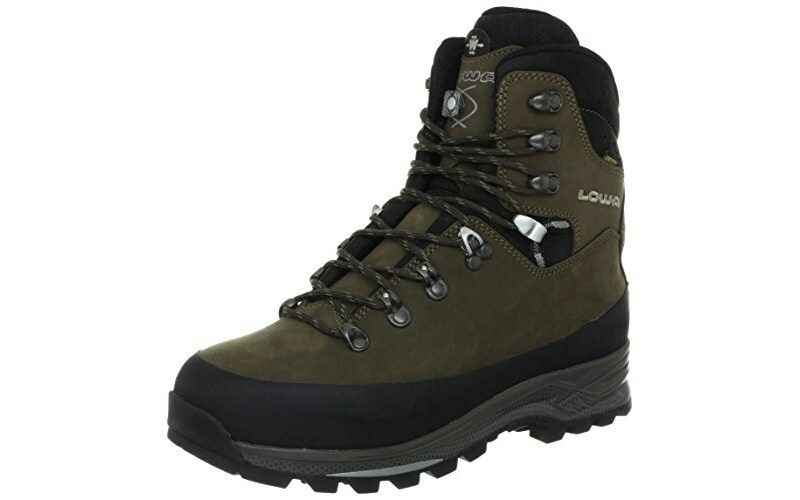 Other types of extra wide hiking boots, like certain models of hiking shoes or day hiking boots, are designed for shorter, less demanding trips. Break them in: Before your first hiking trip with a new pair of boots, make sure you’ve broken them in already. Your feet will thank you. Test-drive: If you’re trying on boots in a store, do so closer to the end of the day when your feet will be at their largest. If you’re ordering them online, most sites offer reliable sizing guides that will help you determine how each size actually fits. Maintenance: Caring for your boots can keep a great pair of boots at their best for much longer than a pair that doesn’t receive proper care. Clean and dry them after every hike, and make sure you follow any care instructions that come with your boots. Don’t forget the socks: The boots themselves get a lot of credit, but don’t forget about having a quality pair of socks to go inside of them. Also, if your socks are particularly thick or thin, you may want to adjust your sizing accordingly. Instead of taking the time to even bother reviewing boots that are not up to par, we’ve passed on them entirely. The benefit of this is knowing that everything that’s featured here on this list is going to be a quality, worthwhile product. Not all of these boots are going to be right for every person, but they all deserve consideration so it’s a great place to start. We’re mostly interested in looking at what sets these boots apart from the crowd, and from each other. Since it’s important to get a strong, quality boot that’s going to last you, we haven’t looked at any boots in the budget price-range because they won’t last as long, they won’t be as comfortable, they won’t give you the necessary support, and you can’t rely on them. Avoid buying boots just because of their brand name, or celebrity endorsements, or anything other than pure quality. Make sure the features match up with your needs, choose a quality pair, and you’re all set to hit the trails. 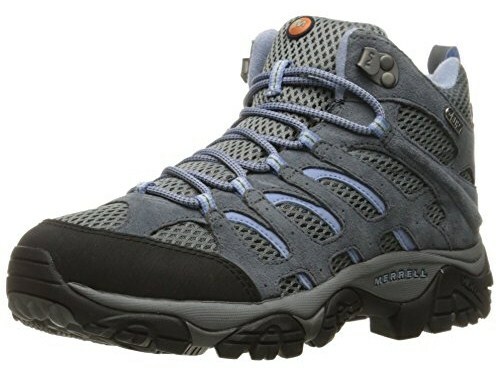 This wide hiking boot for men by Keen comes in at an affordable price, which puts it right near the top in terms of overall value. Over 85% of people say it fits as they expected. This boot was assembled in Portland using materials from around the world. The nubuck leather combines with quality metal hardware to create a reliable and durable boot that will carry you through many seasons on the trail. This boot falls into the category of being an excellent product for the average and above-average hiker, at an affordable price point. 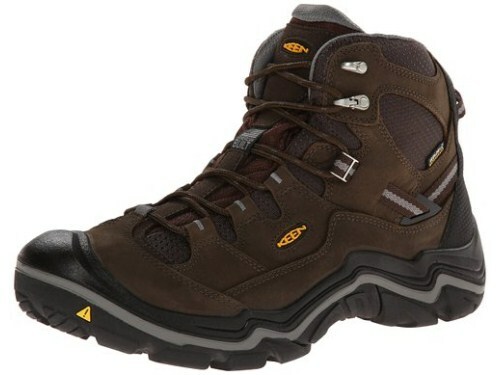 If you’re looking for the best wide hiking boots for men, first you need to define ‘best’. It really varies from person to person. Some people want lighter boots, some guys want a more rugged choice, and of course budget plays a part too. The first men’s boot that we’re taking a look at is made by Lowa. They’re going to cost you more than the cheaper boots, but when you’re comparing quality to price, it’s hard to beat when Lowa is offering. These boots feature a waterproof Gore-Tex lining, so that you can stay dry in snow or puddles. These boots are meant for serious backpackers. They’ve been hand-crafted in Germany, they can handle any terrain, and only weigh about a pound each. Most people with wide feet probably own at least one pair of New Balance shoes already, they’re known for being more generous than other shoe brands when it comes to width. 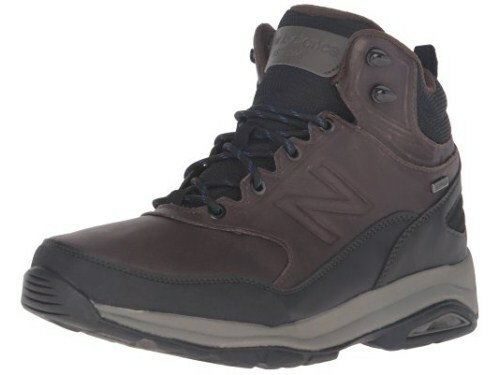 Thus, it shouldn’t come as a surprise that New Balance makes some of the best hiking boots for wide feet. 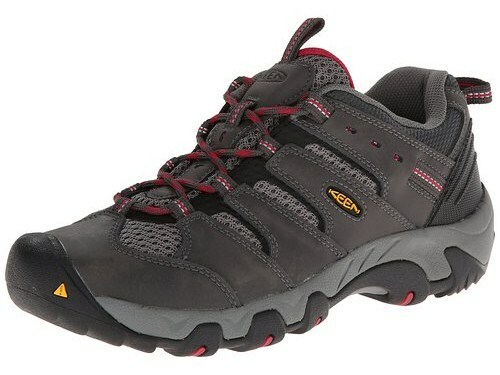 This pair, in particular, is designed for walking on trails. If you’re going into some serious backwoods territory, you may want to consider something a step-up, but otherwise this pair is certainly worth your attention. This is a serious boot for a fair price. It stood out about the others in terms of overall support, ruggedness, and versatility. This boot will be able to handle whatever terrain you throw at it. This German-made boot has exceptional craftsmanship, and it's a great example of when it's very worthwhile to spend a little extra. These boots meet the needs of a more casual or novice hiker who isn't sure exactly where they're going yet, but also a more experienced trailblazer who likes to get off the beaten path. Every size in this boot by Merrell is available in wide, which is rare to find with women's hiking boots. As far as boots that are more geared towards the upper entry-level, there aren't a lot of great choices if you've got wide feet. Even if there were a lot more choices, we have a feeling this pair would still make the list. It's available in two color schemes, we prefer the taupe. Overall, these boots are very lightweight. They aren't waterproof, but the mesh is very breathable and some people actually prefer that since it allows them to dry more quickly. Here’s a sturdy hiking shoe for women, which is more suited for day trips or shorter distances since it’s lighter and thus offers a bit less support than a larger boot. It’s for hiking hours, rather than days, for the most part. Nonetheless, it serves a purpose very well. 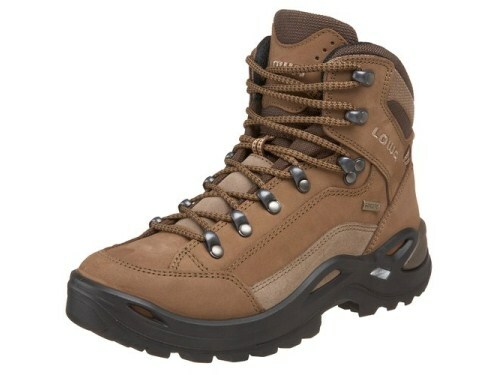 We’ll be looking at another pair of women’s boots next, which are more suited for longer and more demanding hikes. This pair is made from leather with a breathable mesh to help stop too much sweat from building up. The EVA footbed is removable, which will increase the life of the boot, since that’s usually the first part to wear out. This pair of boots by Lowa is great for women with wider feet because they offer a lot of options when choosing your size. Go with the C/D modifier when selecting a size for wider-set feet. Over 80% of people said that this shoe fit as expected, which is a sigh of relief for anyone who needs something wider than usual. 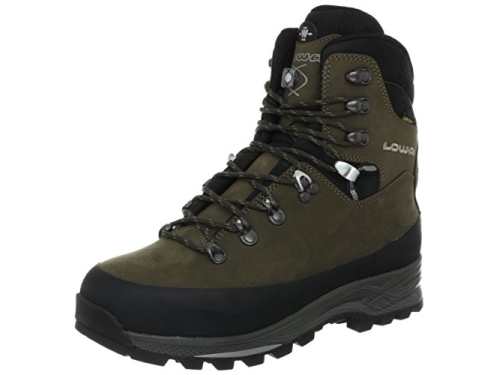 These boots are waterproof and have a Gore-Tex membrane which makes them breathable at the same time. LOWA boots have been hand-crafted in Europe for almost 90 years. This is beyond an entry level boot, and easily earned a featured-spot in this wide hiking boots review. While they’re great for day hikes or the weekend, for long multi-week hikes you may want to consider something more robust. The Renegade offers ample support for anything you can throw at it during a day hike, and can handle some backpacking duties as well. The quality of the leather and hardware, along with the breathable footbed for regulating climate, ensure that this boot isn't only sharp looking but also very functional for just about anything you can put it through.